The Samoyed, affectionately referred to as the Sammy, is a graceful medium-sized dog that is known for their thick, all-white fluffy coat. Its origins are in Siberia where they were bred to pull heavy loads across the frozen Siberian tundra, act as watchdogs, and assist as hunting dogs and stock dogs. They were named for the semi-nomadic people who migrated to Siberia a thousand years ago called the Samoyede and who are credited with breeding the original Samoyeds. Arctic adventurers are credited with bringing the Samoyed to England in the late 18th century. The AKC recognized the Samoyed in 1906 as part of the Working Group. This dog breed is docile, has a gentle nature, and is very loyal to their families. Their mouth has upturned corners that reduces drooling and also helps give them a perpetual smile. They are smart, social dogs that crave love and affection. They can also have a mischievous streak. Sammies tend to be friendly towards strangers, get along well with other dogs, and absolutely love children. They have a high prey drive though, so they may not do so well with other small pets. Their sweet disposition does not make them good guard dogs, but they are very alert, which makes them good watchdogs. The Samoyed is a moderately adaptable dog breed. Because of their energy level, need for affection, and desire to roam and run, they do not tend to adapt well to apartment living. They do best in a larger home with a securely fenced-in yard where they can run. Due to their coat, they are practically impervious to the cold. So, they do very well in even extremely cold climates. However, they do not handle the heat well. They also do not handle alone time very well because they love to be with their families. This is a generally healthy dog breed. As with any dog breed, there are some health conditions to be aware of. These include cardiac disorders, eye conditions, and hip dysplasia. Talking with the breeder about the genetic history and health of the parents as well as asking to see any health clearances can help allay some of these potential health concerns. A Samoyed is not a good fit for novice owners as they can be strong-willed and need firm and consistent, but loving and gentle training. This can be difficult for novice dog owners to handle and navigate on their own. Training and obedience classes and the help of a professional trainer can help a determined first-time dog owner build a strong bond with their puppy and handle life with a Samoyed. Samoyeds are known for their white, fluffy coats. They have a dense, double-layered coat. The undercoat is soft and wooly while the overcoat is long and coarse. Their coat insulates them against extreme cold. They will shed regularly and will have one or two heavy shedding sessions as the seasons change. Their coat needs to be brushed daily to remove loose fur, work out tangles, and prevent matting. In addition to coat care, your Samoyed’s nails will need to be trimmed and teeth brushed regularly. Trimming nails every three to four weeks or as needed will keep your dog’s nails from getting too long and making movement uncomfortable or painful. Your dog’s teeth need care just as yours do. Regular tooth brushing will reduce tartar and plaque buildup and help to prevent dental disease. Daily dental care is ideal. 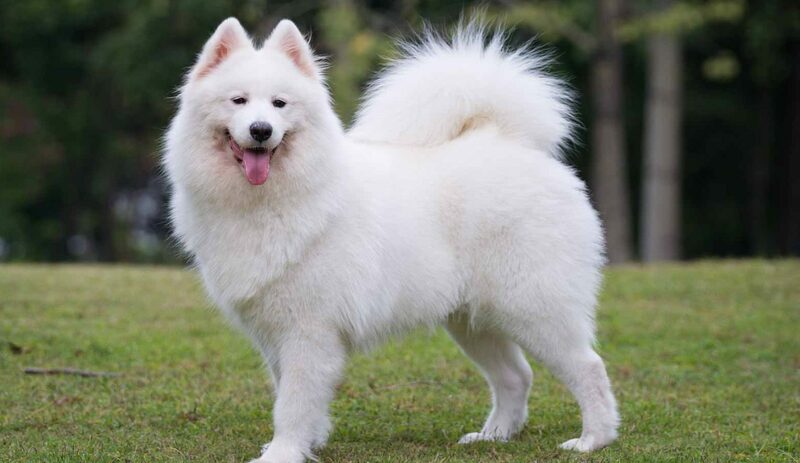 Samoyeds are a high-energy dog breed and need a decent amount of activity. The Sammy is a working dog that likes to be busy. It’s important that they get enough exercise and mental stimulation. As a member of the “sled dog” family, the Samoyed tends to dig if they get bored and can be prone to destructive behavior if they do not get enough exercise. They also have a strong urge to roam and to run, so any off-leash time should be in a securely fenced-in area like a fenced yard or a dog park. A Samoyed will generally stand 19 to 24 inches tall at the shoulder and weigh 40 to 65 pounds. This dog breed usually lives for 12-14 years. The Samoyed was popular with mushers of the early 20th century and were known for being able to pull one and half times their own weight as a sled dog. Samoyeds also helped Roald Amundsen reach the South Pole in 1911. One of the 14 most ancient breeds, the Samoyed is very close to a primitive dog, having no mixture of fox or wolf in its genes. Part of the Spitz family, this pup originated in Siberia. They were commonly used to herd reindeer and pull sleds. People used their excess fur that was shed to make warm clothing. Key characteristics of the Samoyed include black lips that curve into a smile and a thick coated tail that curves over their back. 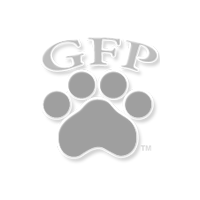 They are better in a cooler environment due to their double coat which consists of an undercoat and a thick outer coat that stands straight out. Coat colors come in white, cream, biscuit, and white and biscuit. Daily brushing is required. Early training with a patient and confident owner is necessary to avoid behavioral issues. Friendly to everyone, even intruders, this gentle breed does not make the best guard dog. The Samoyed was recognized by the American Kennel Club in 1906.